• Overall Length with brackets 14"
These beautiful high quality MAXX Performance Transmission Coolers have internal and external cooling fins which provide maximum cooling efficiency without relying on direct airflow and dissipate the excessive heat buildup in your transmission. 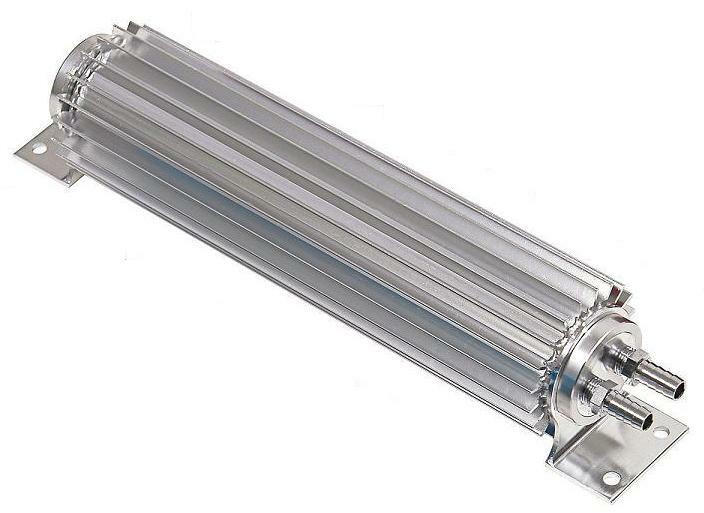 This universal aluminum finned transmission cooler is "dual pass". The dual lines allow fluid to pass through tube twice for better cooling. Their compact diameter means they can be mounted in a variety of locations. The rugged aluminum extrusion features welded ends for long service life in even the toughest environments.